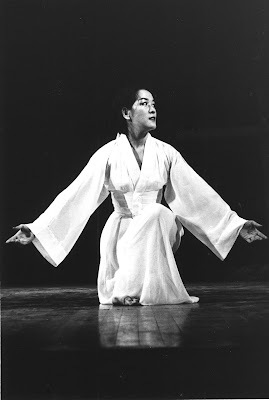 Organized by Daniel Madoff, Stephanie Tooman and Terese Capucilli, a memorial celebration for legendary dance teacher and choreographer Kazuko Hirabayashi has been set for Monday, November 7 (7:30pm) at New York's Symphony Space. Ms. Hirabayashi, born in Japan, was an influential mentor to numerous leading dance artists. She died in March at her home in Harrison, New York. She was 82. Featured performers include a stellar lineup from American Ballet Theater, Alvin Ailey American Dance Theater, Merce Cunningham Dance Company, Batsheva Dance Company, Martha Graham Dance Company, Doug Varone and Dancers, Abraham.In.Motion and Limón Dance Company as well as students from The Juilliard School, The Conservatory of Dance at Purchase College, SUNY, The Ailey School and The Martha Graham School.